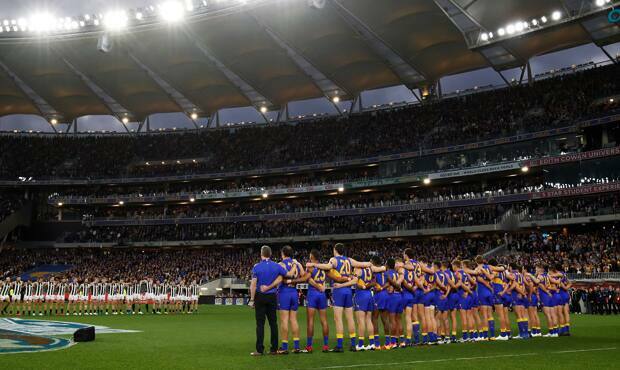 The West Coast Eagles got what they expected when the AFL released its 2019 fixture today. The reigning premiers were expecting a tough schedule and that was certainly delivered, according to West Coast Chief Executive Officer Trevor Nisbett. “I think I’ve said this every year for the last 30 years, but the draw is the draw,” Nisbett said. “We have some input into it, but there are so many intricacies that go with it, it is a difficult thing for the AFL to get 18 club requests, all broadcasters and ground availability exactly as you’d want. “From our point of view we knew we would get a tough draw and that’s how it’s worked out. “Certainly with the night fixtures, having seven night matches at home, are terrific for us. It gives us some flexibility with our members being able to get to games and the opportunity to have some commercial content, which is fantastic across Australia. The most challenging matches for the club are generally night fixtures on the road as the travel party is often unable to return on the same day as the game and there are a number of evening and twilight starts interstate. “Most of the first dozen games are at night, so we will be night owls. We have got so many big games coming up, we’ve got Melbourne twice, Collingwood twice, Adelaide twice, Freo twice…they’re all tough games and we understand that’s what happens when you’re successful. “It’s going to take a lot of hard work to make sure we’re successful again in 2019. “It’s a hard draw and that was our expectation. “We will have to play well to be in the top two or three again, but the first aim is always to make the finals. One contentious issue is the first Good Friday game at Optus Stadium, when the Eagles will host Port Adelaide at 6.10pm in round five. Nisbett said it was mostly received positively, but there were some members who objected to football being played on that day. “We wanted more Friday night games, mainly for our country people,” he said. “We know we are going to disappoint some people with religious beliefs that believe we shouldn’t be playing on Good Friday. “We had a lot of consideration to see whether we would do it, but there has been enough support behind us to play on Good Friday. It has been pretty positive, particularly for people travelling to Perth for that weekend.